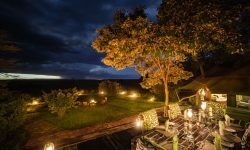 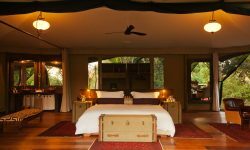 Located on the bend of the Ntiakitiak River in the heart of the 35,000 acre Olare Motorogi Conservancy south of the Maasai Mara National Reserve. 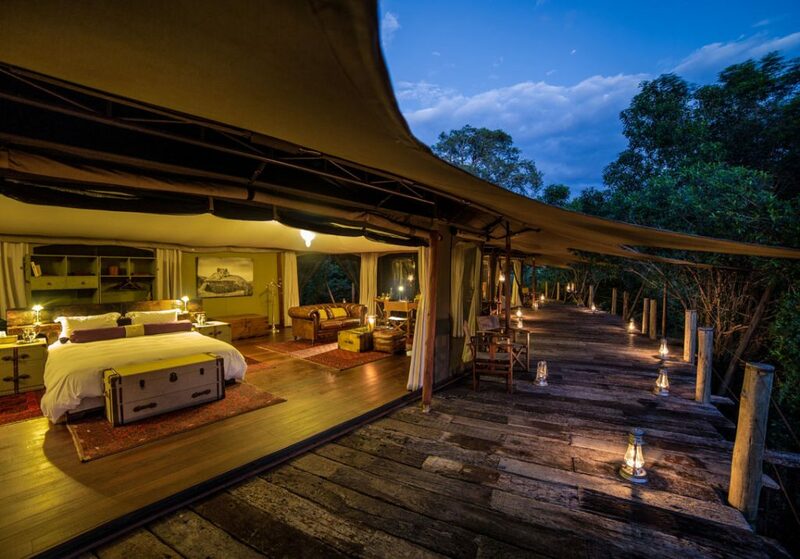 On arrival at the camp you walk across a bridge over a river through thick, riverine forest, up a small slope to some giant steps, to be greeted by an endless horizon with one, single, flat topped tree. 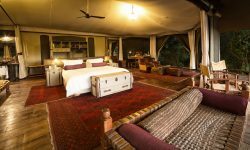 The décor pays homage to the essence of East Africa and its chief influences with Maasai and Arab influence. 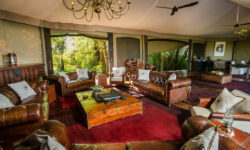 Mara Plain Camp can accommodate 14 guests sharing, Children from 8 years are welcome and can be accommodated in the family suite. 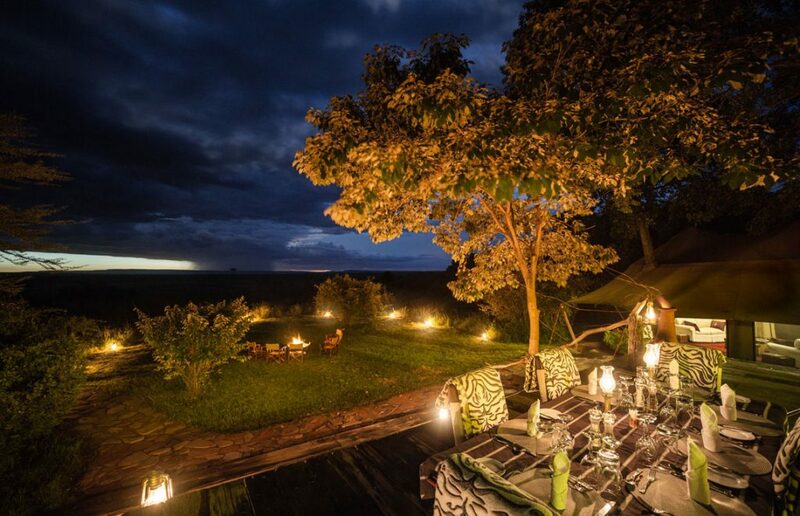 The Camp is designed to give a marvelous combination of romance, adventure.